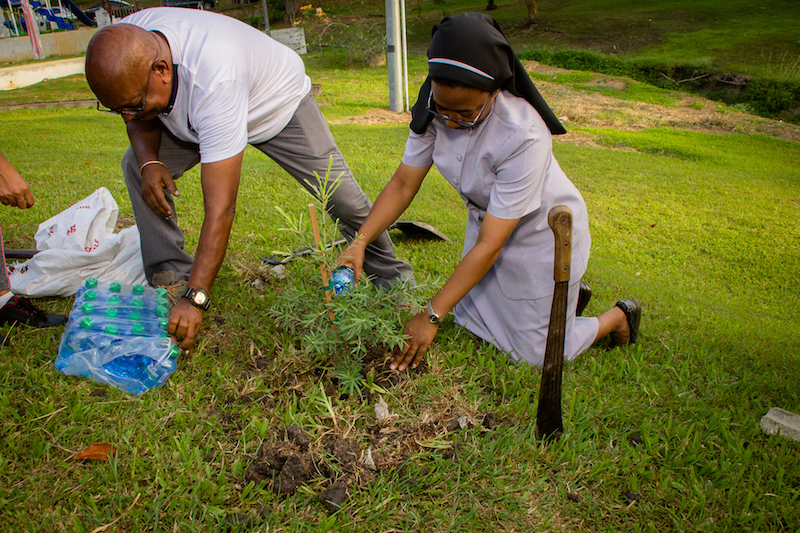 An international religious congregation with Sisters serving in Trinidad and Tobago organized a cleanup and tree-planting on Sunday, and they invited members of the public to join them in their efforts to #BeatPlasticPollution in the Caribbean island nation. 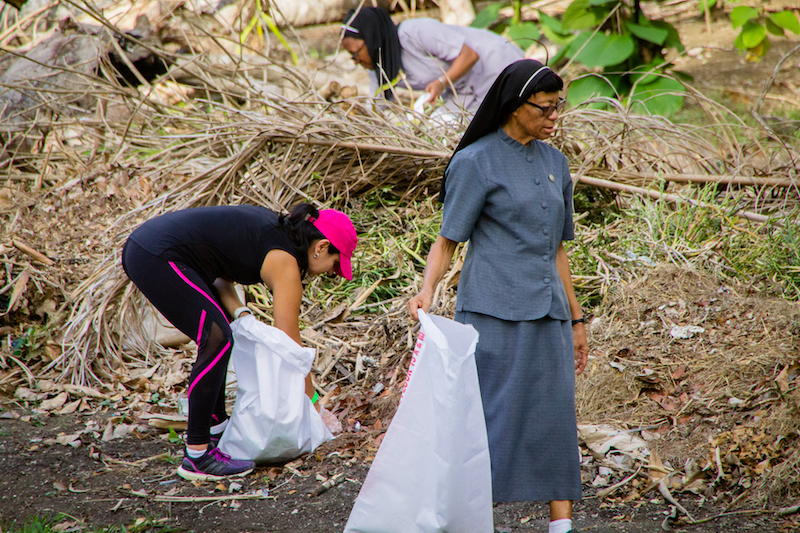 The event, which was spearheaded by Sister Julie Marie Peters of the Sisters of the Sorrowful Mother, was intended to raise awareness of practical ways to reuse or reduce plastic, and to inspire people to become agents of change. Representing the Congregation of the Sisters of the Sorrowful Mother were Sisters Delia Monrose and Cecile St. Remy. The Congregation is a Third Order, Franciscan Religious Group of Women that can be found in countries in Europe, Africa and North America, as well as in other Caribbean nations.